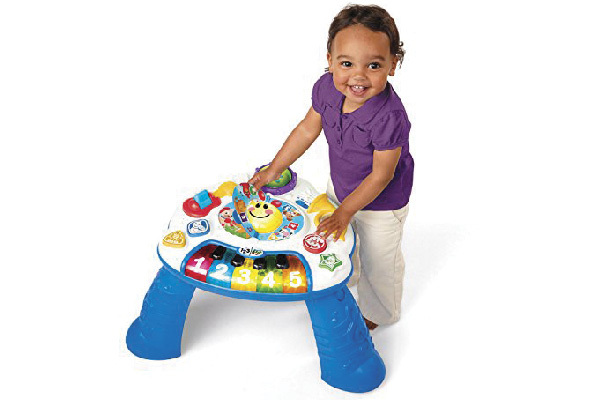 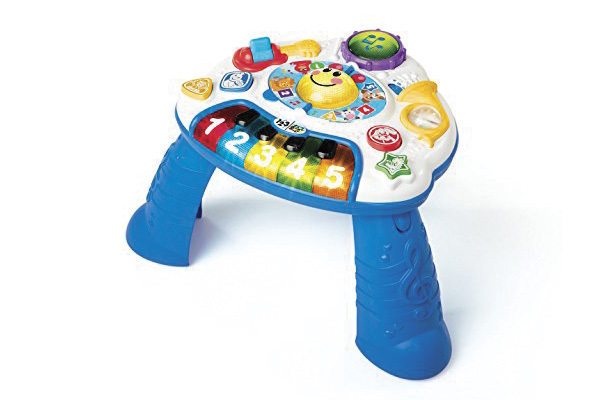 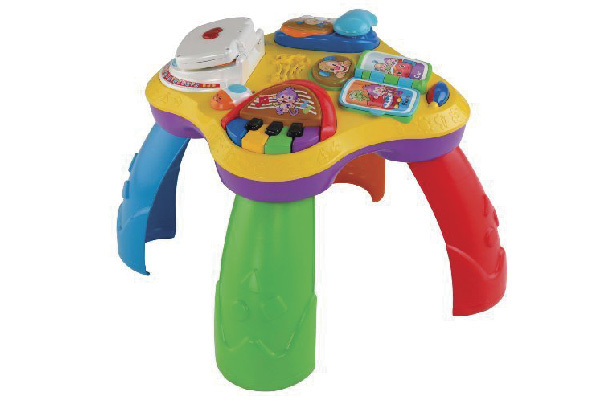 Our Learning Tables promote baby’s gross motor skills as it encourages them to stand and cruise all around the table. 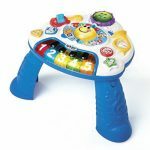 In addition, the table reinforces lessons on letters, numbers, counting, opposites and more through exciting stories and songs. 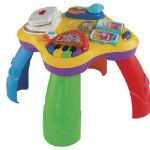 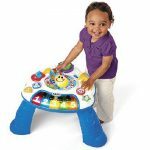 Fine motor skills are promoted through the pressing of buttons, turning pages in interactive books, flipping over levers and more with sweet rewards for baby’s curiosity!